A fundamentally optimistic satirist is hard to find. A satirist who is fundamentally optimistic and actually funny is even more elusive. Yet in Tenth of December George Saunders presents a plural and intensely humane collection of stories which probe the dynamics of motivation, self-consciousness, violence, and the abuse of language in supple prose which unfailingly captures the diverse voices of characters in sore need of an entirely feasible redemption. And it’s funny. The opening and closing stories explore the different ways that language aids us in gaining traction on the world. In ‘Victory Lap’ a young girl’s emotional and linguistic naivety is shattered by a foiled assault, her rescuer repressed by the internalised edicts of his parents, his only release the strings of swear-words he composes. Here is the first hint of Saunders’ concern with the structures of thought which constrain action. That theme continues in the title story, where a boy for whom the world overflows with voices and a dying man for whom that world has narrowed to a cancerous point cross paths in the snow. In the process, how each meets the world changes, as the voices and concerns of one recede, and those of the other, in a manner quite distinct, begin to reassert themselves. ‘His aplomb threw them loops.’ I really like this sentence. It bubbles and flows and is simply happy. Anyway. ‘Escape from Spiderhead’ is in many ways the heart of the collection. It considers the commercial manipulation of thought and feeling in a grim caricature set in a penal laboratory where powerful drugs with eerily familiar names like ‘VerbaLuce’, ‘Vivistif’, and ‘Darkenfloxx’ are mainlined by human guinea pigs for whom the sheen of agency resides in their apparent freedom to ‘acknowledge’. The endurance of conscience throughout this harsh story of chemical manipulation is testament to Saunders’ belief that goodness is our natural state. False reductions of crime or of love are damaging, for what you can reduce a thing to is far from being that which you destroyed in the analysis. In ‘Sticks’ Saunders encompasses an entire life and the contingency of its expression in two pages ostensibly about a metal pole and its various accessories. The different brands of irresponsibility and their problematic reduction to a deficit of love or kindness are addressed in ‘Puppy’, which opens with one of my favourite paragraphs from the collection: at once rhythmic, amusing, and insightful. Twice already Marie had pointed out the brilliance of the autumnal sun on the perfect field of corn, because the brilliance of the autumnal sun on the perfect field of corn put her in mind of a haunted house—not a haunted house she had ever actually seen but the mythical one that sometimes appeared in her mind (with adjacent graveyard and a cat on a fence) whenever she saw the brilliance of the autumnal sun on the perfect etc., etc.—and she wanted to make sure that, if the kids had a corresponding mythical haunted house that appeared in their minds whenever they saw the brilliance of the etc., etc., it would come up now, so that they could all experience it together, like friends, like college friends on a road trip, sans pot, ha ha ha! That insecurity inflected need for shared experience in the face of well-intentioned failure develops in ‘Al Roosten’ wherein the eponymous sufferer of an inferiority complex shifts and twists under the world’s gaze and finds himself exhausted by reflection. ‘My Chivalric Fiasco’ echoes ‘Spiderhead’ and contains moments of pure brilliance as a medieval theme park employee’s day goes completely wrong under the influence of ‘KnightLyfe®’: an aid to improvisation which moulds not just its consumer’s vocabulary but their moral compass as well. Did I want all home? I did. I wanted all, even the babies, to see and participate and be sorry for what had happened to me. The most haunting and topical story is ‘Home’ in which ‘the power of recent dark experience’ emerges in the slowly discomfiting revelation of an Iraq veteran’s loss of self and the struggle to reintegrate on his post-court-martial return. His filter between thought and action has dissolved and brings him closer to the baby he isn’t allowed to hold than to those around him, each of whom thanks him for his service in such a way that it becomes a meaningless beat in an awkward conversation for a man who has lost almost all sense of home. The kernel which yearns to return is what makes this story heartbreaking. Throughout Tenth of December Saunders resists the reduction of human behaviour to the things which condition our lives: drugs, military service, background, and language. Each constrains, but not irredeemably; and that possibility of redemption underpins a belief in a kind of prelapsarian goodness. Yet Saunders’ optimism isn’t metaphysical. It is here and now that we can do that tiny bit better. A plea for a common but plural humanity in the face of a thousand natural shocks, Tenth of December is a consummate collection which I thoroughly recommend. Tenth of December is published by Bloomsbury. My thanks to Bloomsbury for this review copy. A couple of years ago I had nothing better to do than write some poems. (Apart from job hunting, that is.) Anyway, I started my PhD and lapsed somewhat. Before that, I wrote this, which I offer here because my thesis writing brain is currently incapable of reviewing. Do not take it too seriously. John Clare I am not. In obscurity, no label asked – quite free. Who would expect the Embassy of Cambodia? Nobody. Nobody could have expected it, or be expecting it. It’s a surprise, to us all. The Embassy of Cambodia! Zadie Smith returns to North West London – Willesden, to be precise – in her new story (first published in The New Yorker). As ever, Smith’s London is buzzing, bullying, vibrant, opinionated, and true. Exploitation, privilege, resentment, compromise, and impenetrability are all crammed into a mere 69 pages with Smith’s characteristic guile; and in that respect Embassy shares much with last year’s excellent NW. They are playing badminton in the Embassy of Cambodia. Pock, smash. Pock, smash. Above the high walls of the Embassy flies a shuttlecock, alternately smashed and lobbed back; an accommodation of aggression and compliance; a mysterious, opaque transaction in the grounds of a diplomatic building sited well away from the powerful missions of central London. Fatou, the effectively unpaid but defiantly not-slave of an Asian family grown wealthy on mini-market management, walks past and wonders about the regimented racquet play every Monday morning on her surreptitious way to the swimming pool, watched by the begowned occupants of the retirement home across the road. This central and unexplained routine frames Embassy, which Smith has structured into 21 short chapters, each headed by a badminton score which runs sequentially from 0-0 to 0-21. Each chapter frames a thought, a transaction, or rally between Fatou and her Christian friend Andrew, her ‘employers’, the pool, or the city itself. This aids the concentrated character of Smith’s writing, whose tenor reminds me of the episodic building blocks of the central ‘Host’ section of NW. The strength of ‘Host’ was in the way Smith captured a fugitive sadness and developing sense of unease whilst probing the idea of being the author of one’s own being. Here, too, Smith is once again masterful in sketching the barest outlines of a thought or a place only for those lines to expand into a complete picture in the manner of the best short stories. Fatou herself is at something of a disadvantage compared to the narrator who presumes to speak for Willesden, whilst understanding that Willesden would scorn the very idea. Such is the complexity of the assumption of knowledge and power – and the resistance to the intellectual that the aggressively agrarian Khmer Rouge embodied – that runs through Embassy. At its heart, Smith’s excellent story is perhaps about the need for a rebalancing of power relations, somewhere between the extremes of the Khmer Rouge’s New and Old People, between Fatou and her employers, such that the unavoidable weakness of one party is no cause for unease and exploitation on the part of the other. Yet The Embassy of Cambodia resists such easy reductions by its very resistance to bipolarity; as with all of Smith’s work, this story revels in a diversity of individuals who need to be placed in accommodating relationships even when unavoidable power imbalances are in play. Sometimes those relationships will need to be reset. The story ends with victory 0-21, but for whom? And where do they go from there? The Embassy of Cambodia is out tomorrow (7th November 2013). My thanks to Hamish Hamilton for this review copy. There is no croquet in The Europeans. A couple of weeks after finishing Henry James’ early novel The Europeans (1878) my overriding impression is of a deft, lighthearted, ironic, and Austenish work. James had not by this point adopted the alternatively luxurious and syrupy construction that is thought to render his later work so forbidding. Rather, I was reminded a little of the gentle levity of Trollope and, especially, of the less cutting episodes of Austen. The opening lines of The Europeans set the rather tongue-in-cheek tone for the rest of the novel. A narrow grave-yard in the heart of a bustling, indifferent city, seen from the windows of a gloomy-looking inn, is at no time an object of enlivening suggestion; and the spectacle is not at its best when the mouldy tombstones and funereal umbrage have received the ineffectual refreshment of a dull, moist snow-fall. If, while the air is thickened by this frosty drizzle, the calendar should happen to indicate that the blessed vernal season is already six weeks old, it will be admitted that no depressing influence is absent from the scene. The Europeans is essentially a light comedy of manners which exploits the analogous rigidity of the Baroness and her uncle with the exuberant optimism of Felix and his courtship of his increasingly liberated cousin. James undercuts the apparent propriety of the former by so clearly endorsing the joy of the latter. It is this propriety and obvious attachment to her morganatic title that prevent the Baroness from dissolving her marriage and settling in the title-less New World. It is perhaps James’ aim to suggest that brilliance in conversation and appearance is no substitute for expression and a certain vigour in pursuing one’s ends. The languid grace of the Baroness ultimately fails her, whilst Felix’s optimism win’s him a wife: indeed, it seems that the Baroness and her uncle symbolise the decaying, doomed Europe and America which cannot but fall and be replaced by the expressive and liberated transatlantic culture James himself represented. The failure of Eugenia’s near-engagement with Robert Acton presents the impossibility of any productive union between aristocratic Old Europe and a more vigorous America. The Europeans is the first novel of my new and very long term Henry James project. As you can tell from my having begun with The Europeans, my attachment to chronology is fairly vague and guided only by the intuition that James’ early, middle, and late periods should be read roughly in order so that, as his construction thickens, one has, as it were, kept up with him as much as is possible. I’m probably going to read Daisy Miller next as I have that in a Penguin English Library edition that also includes The Turn of the Screw, which is a bit later. The Europeans was a fairly gentle entry into what will undoubtedly become a rather more heavyweight reading list. Classics are a bugger to write about. One can either be refractorily contrarian or fawn and fall in line with the rest of the admiring hordes. That Dracula is accorded ‘classic’ status in the/a ‘canon’ is attested by its inclusion in Penguin’s project of 2012, the issuing of a hundred ‘of the best novels in the English language’. Late last year they were kind enough to send me a few of the Penguin English Library which I comprehensively failed to read. At all. (Actually, I did write about the PEL edition of Dubliners, but that wasn’t part of this batch, so I’m not letting myself off that easily). I’m now aiming to remedy that failure, beginning with Dracula. Now, there is a third way of approaching a classic, of course, which is to use one’s canonical text as the jumping off point for some ill-assorted and likely irrelevant reflections. You might wish I’d left it on the shelf. Although by no means the first vampire novel, Dracula is the oft ill-attributed locus classicus of all that followed in 20th Century film and literature. The short essay that follows the main text (which is a nice feature of PEL editions) by John Sutherland does a good job of sorting the vampires of Stoker from later accretions. It was only with nosferatu, for example, that the sunlight-solubility of vampires was introduced. It might also come as a surprise to any unfortunate who has seen Van Helsing to learn that the eponymous professor is, in Stoker, a slightly-older-than-middle-aged Dutch professor of curious speech patterns. I’m not really going to talk about the plot, I’m afraid. If you want a summary, click here with all possible dispatch and enjoy Wikipedia. Two elements struck me most about Dracula: its intense modernity and the possibility of writing an epistolary novel with some claim to realism in methodology if not in subject matter. These two go hand-in-hand to some extent. The propagation of information by the central characters is done not only by the time-honoured journal, diary, and letter, but by telegram, phonograph, type-writer, and camera. Novels which are necessarily written in recollection can suffer from an odd pacing, but Dracula, for all that it is often dense to modern eyes, does not suffer from this because it makes use of what were, in 1897, cutting edge developments. The arrival of a telegram bearing some key piece of information has something of the email or text about it, for all that they differ in so many other ways. What is so interesting about Stoker’s style is that he mixes the 18th and 19th Century staple of the epistolary novel with the turn of the century developments in communication as well as introducing modern weaponry (Winchester rifles), transport, and science which forms a marked contrast with the old world preferences of the Count. It’s a more refreshing mix than any found in Blade. So what of the epistolary novel in the early 21st Century? It’s fair to say that few people write letters with any regularity. Yet it isn’t simply the medium of expression that has altered, we also write with greater brevity in most exchanges, be they by email, Facebook, instant messenger, Twitter, text message, or anything else. Technology has undoubtedly altered our language and the writer who wishes to write in this mode has to be aware of that. I know that there are books around which do make use of emails, tweets, messages, and so on; but I haven’t really read any, and I wonder if the necessary fragmentation which I feel would result from such approach would be the kind we occasionally laud for being so refreshing in the face of conservative narrative. So, somewhat ironically, I asked Twitter. Suggestions included: Super Sad True Love Story by Gary Shteyngart, several by Tao Lin, Eleven by David Llewellyn, The Antagonist by Lynn Coady, and Daniel Glattauer’s Love Virtually and Every Seventh Wave. I’ve read none of these, but several have made it on to my wish list. (Thanks to everyone who replied). There are, of course, several stories written either in a single tweet or composed of tweets strung together, but these are not, for the most part, messages as messages, but as shorter forms of composition. That is, people are writing stories with tweets, rather than stories of tweets. (See, for example, Jennifer Egan’s Black Box). What is interesting is whether we adopt different voices for different platforms. Do I write differently on Twitter than I do on Facebook? I think I post pictures of cats equally. I certainly write differently when blogging about art or books than when I write philosophy, but it seems a different kind of difference from that which different platforms might engender: in one my subject matter drives my style, but in the other the constraint is of the nature of the platform and social convention surrounding its use. At the very least, I tend not to think in hashtags most of the time. I think it could be interesting to try and write a novel that moves amongst all of these different media. That’s what Stoker did and he’s stood the test of time. One worry might be the transience of social media and the various forms of communication we use at the moment. I’m unlikely to try and write anything involving Myspace, for example; but should I involve Reddit? Does the furniture I post for sale on Gumtree drive my narrative forward? And so on. Of course, we don’t use telegrams and more and that hasn’t harmed Dracula at all. Which means, I suppose, that whatever style one adopts, one has to write a good novel at the same time. Which, by the way, Stoker seems to have done. What with one thing and another I haven’t been able to write about as many of the books I’ve been reading as I would have liked: so, by way of a corrective, I thought I’d talk about a few of the books I’ve enjoyed and, occasionally, been slightly baffled by over the last few months – with no pretence of adherence to chronological order, I should add. 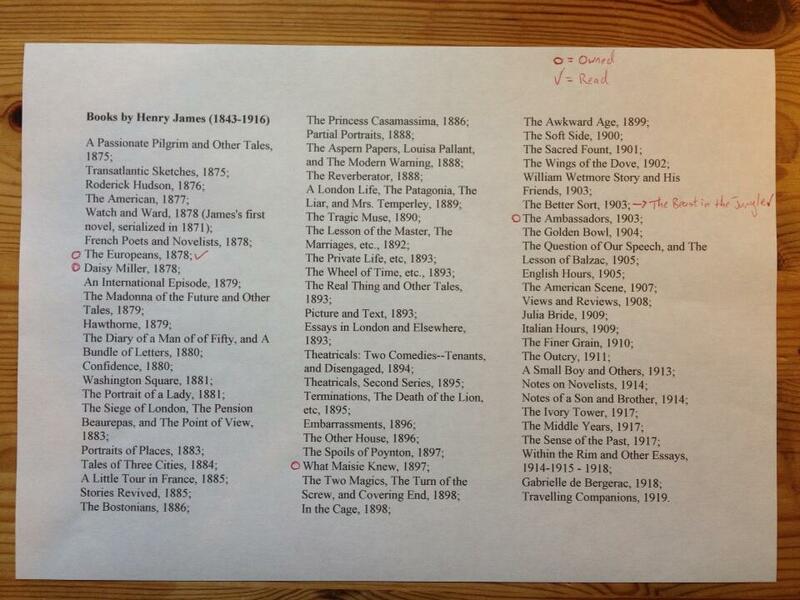 The full list of this year’s reading is to be found by clicking on ‘Books Read 2013’ somewhere above here. One of my resolutions for this year was to read more American and translated fiction. Much to my surprise this actually seems to have gone fairly well. 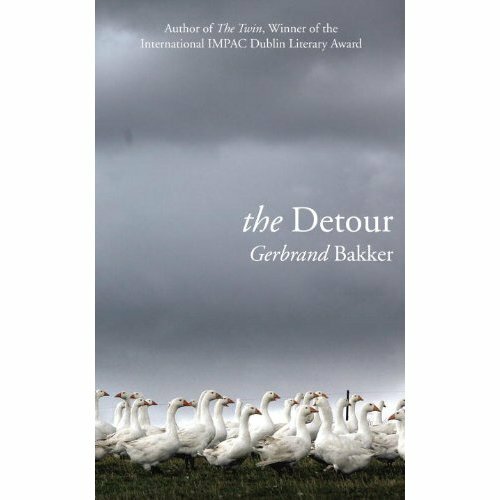 Indeed, one of my favourite novels this year is Gerbrand Bakker’s The Detour, which won the Independent Foreign Fiction Prize a few months ago and makes more references to Escape to the Country than one might have expected. So quiet and full of life, my overriding impression of The Detour was of a vibrating air surrounding the Dutch woman mysteriously arrived in Wales, of a thickness to the medium which was not cloying, for the language is transparency itself, but somehow, like water, able to propagate feeling and mystery all the more effectively for its density. Whereas The Detour vibrated due to some uneasy tension, All Dogs are Blue, the latest translation from And Other Stories, derives its energy from a riotous and rebellious challenge to narrative and the mental institutions of Brazil. In her introduction, Deborah Levy calls Rodrigo De Souza Leão’s work ‘a comic modernist novel about being messed up – and then being messed up even more by numbing doses of pharmaceuticals.’ The sheer momentum generated by Souza Leão powers one through the book. A first reading just has to take in the manifold ramifying threads of a stream of consciousness the balance of which is as undermined by the society in which it finds itself as much as it is by any illness or ensuing medication to which it is subject. ‘I swallowed a chip yesterday. It forced myself to talk about the system that surrounds me. There was an electrode on my forehead. I don’t know if I swallowed the electrode with the chip. The horses were galloping. Except for the seahorse, who was swimming around in the aquarium.’ Quite an opening paragraph. Speaking of opening paragraphs, James Salter is known for them, and his most famous is that which begins Light Years. We dash the black river, its flats smooth as stone. Not a ship, not a dinghy, not one cry of white. The water lies broken, cracked from the wind. This great estuary is wide, endless. The river is brackish, blue with cold. It passes beneath us blurring. The sea birds hang above it, they wheel, disappear. We flash the wide river, a dream of the past. The deeps fall behind, the bottom is paling the surface, we rush by the shallows, boats beached for winter, desolate piers. And on wings like the gulls, soar up, turn, look back. Which, in its current of refracted nostalgia, fractured distances, and coldly receding life, captures the intuition of the entire novel. A work of dissolution and awing concision of character, not to mention the scattering of stunning paragraphs, Light Years is remarkable. Salter likes water: the opening sentence of his latest novel All That Is runs: All night in darkness the water sped past. Despite this – and some Twitter murmurings about a thirsty horse – I haven’t quite got around to reading All That Is yet. I have a habit of eagerly awaiting novels and then suddenly finding myself unable to pick them up. Glorying in a different kind of linguistic bravado one finds Sam Byer’s Idiopathy, described as ‘A novel of love, narcissism and ailing cattle’. Each of Byers’ three central characters is mired in a different kind of self-involvement and self-pity, symbolised by those ailing cattle standing ‘at the edges of fields staring blank and unblinking into the middle distance, starving and dehydrating to death.’ The prose matches and vindicates the rationale. Byers’ sentences twist and turn, moving back and forth, in and out, becoming increasing self-involved before, rather unlike the thoughts of his subjects, resolving beautifully. Likewise, each sentence forms part of a paragraph whose guiding thought is clear, but whose meandering yet controlled course mirrors both the contours of introspection and the ‘self-caused cause’ that is its impetus. Byers consistently finds the humour that underlies the nonsense we manage to twist our thoughts and lives in to. Gabriel Roth’s The Unknowns also addresses the challenges of interpersonal communication and love. (No cattle). Through the nice premise of an expert in user interfaces who is nonetheless bad with people until he develops a theoretical framework with which to approach them, Roth questions the relationship between people and the facts about them, between knowing someone and understanding them. The Unknowns reminded me of the debates in the philosophy of mind which ask how it is that we predict or understand the behaviour and thought of others given the inaccessibility of their mental lives. This is often called ‘folk psychology’. One view, ‘Theory-theory’, holds that we understand the behaviour and thoughts of others (‘mindreading’) by accessing a theory of human behaviour we all hold in our minds: we reason somehow about others and come to conclusions about their lives. Roth’s novel is rather snappier and an awful lot funnier than the texts one finds in the philosophy of mind, but it covers the same ground and highlights that same gulf in knowledge and understanding which we have to find some way to bridge if we are ever to relate to anybody. The development of knowledge and understanding that attends immersion in literature is the satirical substance of the most straightforwardly joyous book I’ve read recently: Alan Bennett’s The Uncommon Reader. A small book which manages to contain more insight about the value of reading and the fear it engenders in others. One of my favourite passages finds the increasingly literate Queen reciting Larkin’s The Trees during what would otherwise be a rather run-of-the-mill planting. (This is one of my favourite poems, which helps). Everyone should read Bennett’s very short, but lovely book. ‘See a town stucco-pink, fishbelly white…’ To return to the Americas, Donald Antrim’s reissued Elect Mr Robinson for a Better World was one of the more disconcerting novels I’ve read this year, which is probably why I didn’t review it at the time. I was baffled. I had lots of words I could use: surreal, macabre, fantastical, satirical, bloody odd, and so on; but I couldn’t make them cohere into the substance of a review. And perhaps this is the point. Antrim’s novel defies the kind of approach I often take to reviewing. It’s defiantly violent and refuses to allow that violence to signify in the way that literary novels so often do; its language is so at odds with its subject which is magnified and twisted as a result; its amorality challenges the narrative one wants to place on it. It’s not easy. I might also have been quite tired when I read it. This might also be true of Jim Crace’s Booker longlisted Harvest, but given my lack of response to his earlier Quarantine, I think I may simply have a Crace blind spot. Crace is one of those whose technical ability, whose sentence-making, I recognise in an abstract way, but whose writing simply fails to move me. ‘This land has always been much older than ourselves’. Its insistently measured pace, its careful probing of a thought, a place, a person, a name, or possibility enlarges the space of Crace’s prose, makes its spaces rich and sacred, but in the same way renders it detached, dreamlike, everywhere and nowhere: so richly detailed, so freely of the earthy and sky, yet none that we may find. To continue in the vein of books about which I am ambivalent, Matt Suddain’s enormous Theatre of the Gods challenges merely by its length. This tale of transuniversal exploration is as big and brash and ambitious as any science fiction/fantasy one might name. It’s full of wit and intelligence and might be somewhat too aware of the fact. In short, it might be shorter. The sprawling character of the narrative as we follow M. Francisco Fabrigas (explorer, philosopher, heretical physicist) across the universes as he battles, amongst others, the Pope of the universe, myriad assassins, and the flora of one very dangerous moon, is part of the essential character of the work. However, certain passages descend into something of a display, which might, of course, be evidence of the supposed narrator of Fabrigas’ tale. If you feel like taking on a big book with big ideas and definite talent behind it, then Theatre of the Gods is worth considering. Finally, and in contrast, I read Magda by Meike Ziervogel, which follows Magda Goebbels from her abusive childhood to Hitler’s bunker beneath Berlin. Ziervogel’s writing is at its most remarkable when probing the spiritual starvation Magda feels and her satiation in the person and project of her Fuhrer: ‘This man believes in meaning, this man delivers meaning, this man is meaning. He is mind without body and Magda is inspired; the spirit has entered her, the Holy Spirit has come to her and taken her, planting a seed in her as he did with the Virgin Mary.’ One of the challenges of writing about historical figures is to resist the inevitability of their fate; it is even more challenging when those figures have such a hand in that determination. Ziervogel’s painful portrayal of Magda and the fear and confusion of her children as the steel doors close on them is chillingly good. The interpenetration of prostration before the cross, before an abuser, before National Socialism; of bodily and national resurrection, of abuse and purity and the manner in which the victim comes to feel unclean and seek forgiveness; of the bitter irony of one people believing itself chosen and thus seeking to exterminate another: all is brought to bear in Magda. And that’s some of the books I’ve read recently. One book I’ve not written about is Javier Marías’ The Man of Feeling. I’m going to need a while to get my head around that one. It’s brilliant, but I think I need to reread it at least once before I can say much about it. The same goes for Antal Szerb’s Journey by Moonlight, which is remarkable and full of wisdom and humanity. My next post should be a few thoughts on Dracula. Titles with a star were review copies. I hope to get some reviews or reading summaries up in the next few days but in the meantime the lovely Claire King, author of The Night Rainbow, has asked me a few questions which I answered in typically rambling fashion. It’s been a few weeks of scary thesis work, so I apologise if it looks like my various trains of thought had a bit of a leaves on the line moment here and there. 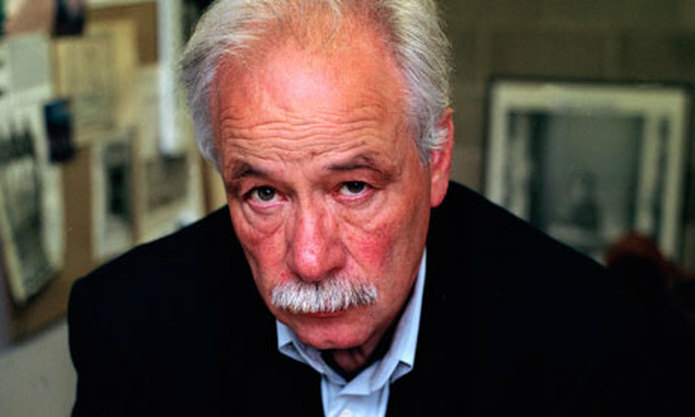 James Salter: Some for Glory, Some for Praise. Max Sebald’s Writing Tips – Richard Skinner.